Welcome to NaNoWriMo, Day 24! Today we’re talking about how your protagonist rallies after the dark moments and is launched into a final do-or-do confrontation with the antagonist. Thanks for stopping by, and I look forward to seeing you tomorrow! This entry was posted in 30 Day Novel, Characterization, Plotting, Story Development, Worldbuilding and tagged 30 day novel, author, book in a month, character development, characterization, class, climax, creative writing, dark moment, developing characters, fiction writing, get organized, how to plot a novel, how to write a novel, lynn johnston, main character, major plot points, midpoint, nanowrimo, national novel writing month, novel in 30 days, novel plotting, novel structure, novel writing, pinch point, plot a novel, plot point, plot structure, plot-as-you-go, plotting, plotting a novel, plotting fiction, protagonist, resolution, second plot point, story development, story structure, video, workshop, write a novel, write smarter not harder, writer, writing, writing fiction on November 23, 2014 by Lynn Johnston. Welcome to NaNoWriMo, Day 23! Today we’re talking about how the dark moment is a defining point in your character’s growth arc and how it foreshadows the climax, as well as the protagonist’s choice between who s/he started out as and who s/he could become by the end of the story. This entry was posted in 30 Day Novel, Characterization, Plotting, Story Development, Worldbuilding and tagged 30 day novel, author, book in a month, character development, characterization, class, climax, creative writing, dark moment, developing characters, fiction writing, get organized, how to plot a novel, how to write a novel, lynn johnston, main character, major plot points, midpoint, nanowrimo, national novel writing month, novel in 30 days, novel plotting, novel structure, novel writing, pinch point, plot a novel, plot point, plot structure, plot-as-you-go, plotting, plotting a novel, plotting fiction, protagonist, resolution, second plot point, story development, story structure, video, workshop, write a novel, write smarter not harder, writer, writing, writing fiction on November 22, 2014 by Lynn Johnston. Welcome to Day 22 of NaNoWriMo! Today we’re talking about how the second plot point creates the dark moment and foreshadows your story’s climax. Thanks for stopping by! I look forward to seeing you tomorrow. This entry was posted in 30 Day Novel, Characterization, Plotting, Story Development, Worldbuilding and tagged 30 day novel, author, book in a month, character development, characterization, class, climax, creative writing, dark moment, developing characters, fiction writing, get organized, how to plot a novel, how to write a novel, lynn johnston, main character, major plot points, midpoint, nanowrimo, national novel writing month, novel in 30 days, novel plotting, novel structure, novel writing, pinch point, plot a novel, plot point, plot structure, plot-as-you-go, plotting, plotting a novel, plotting fiction, protagonist, resolution, second plot point, story development, story structure, video, workshop, write a novel, write smarter not harder, writer, writing, writing fiction on November 21, 2014 by Lynn Johnston. Welcome to Day 21 of NaNoWriMo! 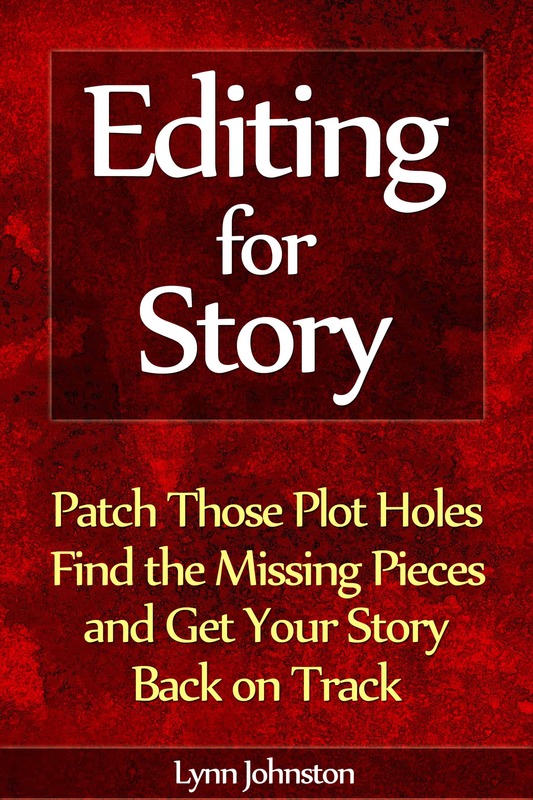 Today we’re talking about how to move your characters into the second plot point, and how the second plot point is a launching pad for Act 3, the dark moment, and the climax of your story. Thanks for stopping by–I look forward to seeing you tomorrow! This entry was posted in 30 Day Novel, Characterization, Plotting, Story Development, Worldbuilding and tagged 30 day novel, author, book in a month, character development, characterization, class, climax, creative writing, developing characters, fiction writing, get organized, how to plot a novel, how to write a novel, lynn johnston, main character, major plot points, midpoint, nanowrimo, national novel writing month, novel in 30 days, novel plotting, novel structure, novel writing, pinch point, plot a novel, plot point, plot structure, plot-as-you-go, plotting, plotting a novel, plotting fiction, protagonist, resolution, second plot point, story development, story structure, video, workshop, write a novel, write smarter not harder, writer, writing, writing fiction on November 20, 2014 by Lynn Johnston. Welcome to Day 20 of NaNoWriMo! Today we’re talking about why it’s so common to get stuck between the first and second pinch points, and how to keep your story moving forward as the character’s growth arc unfolds. Thanks for stopping by — come back tomorrow for Day 21 tips! This entry was posted in 30 Day Novel, Characterization, Plotting, Story Development, Worldbuilding and tagged 30 day novel, author, book in a month, character development, characterization, class, climax, developing characters, get organized, how to plot a novel, how to write a novel, lynn johnston, main character, midpoint, nanowrimo, national novel writing month, novel in 30 days, novel plotting, novel writing, pinch point, plot a novel, plot point, plot structure, plot-as-you-go, plotting, plotting a novel, protagonist, resolution, story structure, video, workshop, write a novel, write smarter not harder, writer on November 19, 2014 by Lynn Johnston. Welcome to Day 19 of NaNoWriMo! Today we’re talking about the aftermath of the second pinch point and how it moves the protagonist’s character arc forward. Also, a tip for keeping your writing space clear. Happy writing today, and I look forward to seeing you tomorrow! This entry was posted in 30 Day Novel, Characterization, Plotting, Story Development, Worldbuilding and tagged 30 day novel, author, book in a month, character development, characterization, class, climax, developing characters, get organized, how to plot a novel, how to write a novel, lynn johnston, main character, midpoint, nanowrimo, national novel writing month, novel in 30 days, novel plotting, novel writing, pinch point, plot a novel, plot point, plot structure, plot-as-you-go, plotting, plotting a novel, protagonist, resolution, story structure, video, workshop, write a novel, write smarter not harder, writer on November 18, 2014 by Lynn Johnston. Welcome to Day 18 of NaNoWriMo! Today we’re talking about how the second pinch point is another major step forward in your character’s growth arc, and why taking care of yourself physically is important for finishing a writing marathon like National Novel Writing Month. Thanks for stopping by — I look forward to seeing you tomorrow for Day 19 tips! This entry was posted in 30 Day Novel, Characterization, Plotting, Story Development, Worldbuilding and tagged 30 day novel, author, book in a month, character development, characterization, class, climax, developing characters, get organized, how to plot a novel, how to write a novel, lynn johnston, main character, midpoint, nanowrimo, national novel writing month, novel in 30 days, novel plotting, novel writing, pinch point, plot a novel, plot point, plot structure, plot-as-you-go, plotting, plotting a novel, protagonist, resolution, story structure, video, workshop, write a novel, write smarter not harder, writer on November 17, 2014 by Lynn Johnston. There are several reasons that writers “run out of story” before they get to their story’s climax. 1. Your initial story problem is too easy for the protagonist to solve. It takes a big conflict to carry a novel, and most novels still include secondary conflicts (in the form of subplots) to keep their full-length novel exciting. If you’re having difficulty coming up with obstacles for your protagonist to overcome, there’s a good chance that this is your problem–or that you haven’t dug deeply enough into the implications of your initial story problem. If your protagonist’s problems seem contrived–like you’re having to make up minor obstacles and blow them up out of proportion in order to fill space–this is another sign that your initial story problem isn’t generating enough conflict. If you’ve chosen a problem too small to carry an entire novel, you might want to ask yourself: How can my protagonist’s current problem propel him/her into a much bigger problem? For example, if your protagonist is looking for proof that his boss is doing something unethical, and he’s about to find that evidence, you might want to try brainstorming a twist that would open up a new can of worms. Is it possible that the boss’ unethical behavior is part of some larger conspiracy that your protagonist now has to take down? Or is it possible that this one unethical action was performed by the boss for the sake of covering up a bigger unethical action? If you’ve got a meaty problem but you haven’t dug deeply enough into it for conflicts, you can start by asking yourself: Who, besides my protagonist, is affected by this problem? How are the protagonist’s allies affected? How are innocent (and not-so-innocent) bystanders affected? For example, if you protagonist is an Indiana Jones style archaeologist and he’s close to finding the ancient artifact he seeks, you could put some more booby traps in his way, but giving the protagonist more of the same type of problem to solve results in a boring story. So instead, think about who else is affected when he finds the artifact. Do the locals see the artifact as part of their cultural heritage, and will they do anything to make sure it stays in the temple? Does the local government have reason to believe the rumor started by your antagonist that the protagonist is planning to smuggle the artifact out of the country and sell it on the black market instead of turning it over to the museum as promised? Do any of the protagonist’s allies see an opportunity to swipe the artifact and sell it to a private collector? Has the protagonist’s patron lost faith and pulled funding from the expedition, forcing the protagonist to make bargains with locals, steal food, etc? 2. You’re not being “mean” enough to your characters (and neither is your antagonist). We’re all guilty of doing this at some point in a story. We love our protagonists. We put a little bit of ourselves in them. We want the readers to love them. So we let them off the hook when we should be backing them into a corner and forcing them to prove what they’re made of. It’s ironic, because we often do this for the sake of making our protagonist seem cooler to the reader. But in reality, readers bond with characters who overcome adversity in a noble way. By making things too easy on the protagonist, we are actually making it harder for the reader to bond with the protagonist. Is your protagonist breezing through the story, avoiding confrontations, getting what they want without having to work for it, and succeeding in hiding from or outsmarting the antagonist without having to sacrifice anything important to them? I suggest that you sit down right now and brainstorm a list of twenty ways that life could be harder for your protagonist: problems caused by the antagonist, by friendly or neutral characters who want something different than the protagonist does (and might even feel that they’re acting in the protagonist’s best interest), by circumstances, and by setting elements that the protagonist must interact with. Then make at least one of those things happen in the next scene. 3. You don’t know what your characters want, so they’re not doing anything. Kurt Vonnegut is famous for saying that he always makes sure that his characters want something, even if it’s a glass of water. This is some of the best writing advice you’ll ever get. One of the main reasons stories bog down is that the main characters don’t want anything–or if they do want something, they don’t want it enough to go after it. No motivation = no pursuit of goal = no conflict. This is why so many writers talk about GMC being the building block of plot. A character is motivated to pursue a goal, which forces them to overcome obstacles (i.e. engage in conflict). If you don’t know what your characters should do, ask yourself: what does each of these characters want? I recommend starting with the antagonist, because as the story’s official troublemaker, your antagonist is your number one conflict generator. What is the antagonist doing, and how is this creating a situation that the protagonist doesn’t want? Or that changes what the protagonist wants? If you’re having difficulty figuring out what your characters want, go back to your initial story premise, and start asking why. Why is my heroine going to prep school instead of public school? Why is my heroine on the cheerleading squad instead of the chess team? Why doesn’t my heroine already have a boyfriend? Why does my heroine like the guy she’s secretly crushing on? Why is my heroine having trouble with her grades now? Why wasn’t she having trouble before? Why does my heroine’s little brother drive her crazy? The deeper you delve into the whys of your character, the more likely you are to find a powerful motivation that will drive her actions throughout your story. 4. Your setting doesn’t contain enough obstacles for your characters to overcome. One of the reasons that the hero’s journey is a spectacular plot structure is that it forces the protagonist to enter a different world. The new world pushes the protagonist out of their comfort zone and into a world where unexpected problems arise. The protagonist can no longer take everything in stride, because his or her usual skill set isn’t good enough anymore. And, of course, when your protagonist is having problems, that’s when the story gains momentum. If you’ve let your character stay in their ordinary world, you must introduce extraordinary conflicts which are throwing the ordinary world out of balance. For example, maybe your protagonist is at the same school as before, but the antagonist is the new girl in school…and she’s stealing your protagonist’s friends and her spot on the cheerleading squad. In other words, the antagonist turns the ordinary world into an unfamiliar place, where the protagonist no longer has the same resources and his/her old habits don’t help. If your protagonist hasn’t entered an extraordinary world or had an antagonist mess up the ordinary world, you’re missing out on tons of potential conflicts. I recommend that you spend a few minutes brainstorming ways that the antagonist could turn your protagonist’s world upside down. 5. Your characters aren’t fleshed out well enough to have interesting conflicts. Real people have difficulty getting along unless they’re very close friends. Your characters should have trouble getting along too–even those characters who are close to the protagonist. Unless your characters are all clones or have been brainwashed by a cult leader, they should have different beliefs, attitudes, likes and dislikes, wants, needs. Your protagonist’s allies should have their own goals and agendas which don’t always align with the protagonist’s goal and agenda. And even when they do align, the allies should have different ideas about how to get things done. People don’t have to hate each other to be in conflict. Maybe your protagonist doesn’t have their ID and building security is a stickler–even though the guard recognizes your protagonist, he’s going to do his job by the book and not let your protagonist in without a valid ID. The guard could be friendly and even sympathetic to your protagonist’s plight, but still create conflict by not letting him in the building. If everyone in your story is getting along, don’t go back and edit what you’ve already written, but sit down right now and brainstorm at least one way that each character disagrees with your protagonist. 6. Your story’s structure doesn’t work, and is not generating enough interesting conflicts. Many people ignoring story structure, because they think these structures are recipes that must be followed. Not so. Story structures are EQUATIONS FOR GENERATING CONFLICT. If you choose a story structure and use it correctly, the structure should be giving you so many ideas for potential conflict that you’re having to making difficult choices about what to keep and what to cut from your story. But because many people don’t know how to use story structure correctly, they end up abandoning it. So, how do you use a story structure to generate conflicts for your characters? Don’t ask yourself: What’s the inciting incident for this story? Ask yourself: What are twenty things that could happen to my protagonist that would ruin his/her life? Or take away everything s/he’s achieved overnight? Ask yourself: What is the worst possible situation for my protagonist to find him/herself in? What’s the one thing s/he just couldn’t cope with? Ask yourself: What is the most upsetting thing my antagonist could do to my protagonist? Don’t ask yourself: What’s the first plot point of this story? Ask yourself: What kind of crisis would make my protagonist completely question their entire lives? Ask yourself: What would it take to force my protagonist to admit they have a flaw? Ask yourself: If my antagonist was trying to make my protagonist completely doubt him/herself, what would s/he do? Ask yourself: What’s the one thing that would make my protagonist feel like they no longer had control over their life? The steps in a particular kind of story structure aren’t meant to be blindly followed, but to inspire you to give your protagonist problems and then escalate those problems as your protagonist tries to get control of his/her life back to normal. I recommend picking one that seems interesting to you, figuring out roughly which plot point or step might be closest to where you are in your story, and start asking yourself questions about your characters based on that plot point. For example, if your character is still in his/her everyday world, you might decided to start with the first plot point, which is the event that catapults the character into their extraordinary world (or brings the extraordinary into the protagonist’s everyday world). If your character hasn’t yet felt the antagonist’s real power, I recommend starting with the first pinch point, and start brainstorming ways for your protagonist to collide with the antagonist (and lose something in the collision). If you’re somewhere in the middle of your story and the characters are stuck or your story is sagging due to low tension and low conflict, I recommend starting with the midpoint and brainstorming ways for your protagonist to make a game-changing discovery that sends him/her off in a new direction. Best wishes with getting your story back on track! This entry was posted in Characterization, Plotting, Story Development, Worldbuilding and tagged 30 day novel, author, book in a month, character development, characterization, class, climax, developing characters, get organized, how to plot a novel, how to write a novel, lynn johnston, main character, midpoint, nanowrimo, national novel writing month, novel in 30 days, novel plotting, novel writing, pinch point, plot a novel, plot point, plot structure, plot-as-you-go, plotting, plotting a novel, protagonist, resolution, story structure, video, workshop, write a novel, write smarter not harder, writer on November 17, 2014 by Lynn Johnston. Welcome to NaNoWriMo, Day 17! Today we’re talking about heading into the second pinch point and how to set up the conflicts that will put your protagonist and antagonist on a collision course. This entry was posted in 30 Day Novel, Characterization, Plotting, Story Development, Worldbuilding and tagged 30 day novel, author, book in a month, character development, characterization, class, climax, developing characters, get organized, how to plot a novel, how to write a novel, lynn johnston, main character, midpoint, nanowrimo, national novel writing month, novel in 30 days, novel plotting, novel writing, pinch point, plot a novel, plot point, plot structure, plot-as-you-go, plotting, plotting a novel, protagonist, resolution, story structure, video, workshop, write a novel, write smarter not harder, writer on November 16, 2014 by Lynn Johnston. Welcome to Day 16 of NaNoWriMo! Today we’re talking about how your characters sally forth from the midpoint of the story, how to plan ahead for the second half of your story, and how to pick up the pace so the third quarter of your story doesn’t sag. Thanks for stopping by–see you tomorrow!